Harnessing the sun for power and heat is rather commonplace but how about making cool air from the sun’s energy? 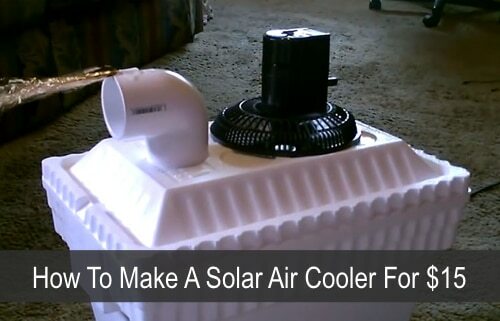 With a few simple items, you can make a cheap yet effective air conditioner and use it this afternoon. All you’ll need is a foam ice chest, PVC pipe, a fan and a block of ice. This solar air cooler can keep a room cool for up to 10 hours!